Registration deadline is July 17, 2017. REGISTRATION IS CLOSED. From July 24-27, Two Rivers United Methodist Church is offering a different kind of Vacation Bible School experience this summer. 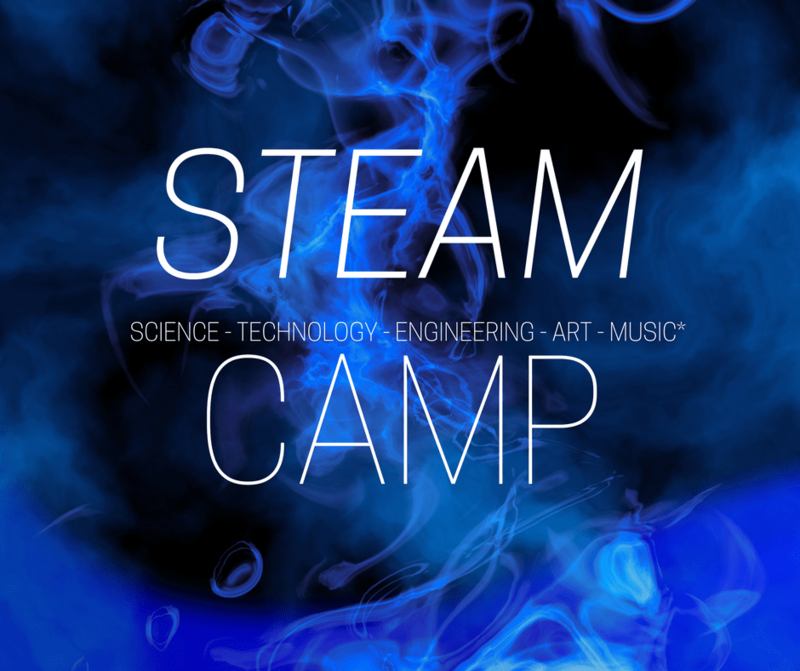 Instead of the traditional crafts, songs, and Bible stories, Two Rivers is putting together their second annual STEAM Creators’ Camp for kids Preschool through 6th grade. As many involved in education know, STEAM usually stands for Science Technology, Engineering, Arts, and Math. For the Two Rivers Camp, the M stands for Music. The Camp will offer four different workshops, and kids who are entering 1st-6th grades will be assigned to two workshops based on how they rank their interests at registration. Kids age 4-5 who have not finished Kindergarten will be kept together in a Preschool group. The four-day camp will last from 9:00 a.m. – 11:30 a.m. The time will be divided into five segments. It will begin with group time for a devotional, icebreakers, and games. Then the kids will break into their first workshop. The group will come together for a nutritious snack, then kids will go into their second workshop. Each day will close with the kids coming together to work on a group mission project. The Science workshop will include various science experiments and demonstrations. In 2016, one of the Science days included an egg drop, where kids built structures to protect an egg that was dropped from a low roof of the church. The Music workshop will include instruction on learning to play the ukulele. Two Rivers has recently started a ukulele choir, and youth are learning these instruments in Sunday school. They will also be building their own instruments, and learning some of the science behind the music. The Engineering and Technology workshop will likely include computer programming basics with Sphero robots and building structures with random objects. The Arts workshop will include a variety of projects with different artistic techniques. In addition to the camp from July 24-27, there will be a special STEAM Camp Fair, Picnic and Movie on Saturday, July 29 at the Camp Milan Retreat Center. At 6:00 p.m. there will be a free dinner of hot dogs, hamburgers, and lots of sides. After dinner, kids will be able to show their work to their parents. There will also be games and activities. There will be a “Movie Under the Stars” at dusk. The movie will be a Disney/Pixar classic that fits the theme of robotics. This is a rain or shine event. If the weather is inclement, the activities and movie will be moved inside. Register below. The workshop details are not finalized, and are subject to change. The workshops themselves will still fall under these four categories. Children who have completed Kindergarten will be entered into groups that participate in the different workshops. Children age 4-5 who have yet to go to Kindergarten will be kept together as a Preschool group, and complete more traditional Sunday school crafts, playing, and activities.